The Queen Sirikit Cup is returning to Australia for the first time since 2006 and will again tee it up in South Australia. Royal Adelaide was the host of the previous tournament, however this time the honour goes to Adelaide’s Glenelg Golf Club where the cream of amateur women’s golf in this region will unite from 6-8 March 2019. The powerhouse Korean team has remarkably won the 11 of the past 12 Queen Sirikit Cups, with Australia’s win – courtesy of Minjee Lee, Su Oh (who both play on the LPGA Tour) and Grace Lennon – in 2013 the exception. But the emerging Thai team, along with Japan and the Philippines, pushed Korea all the way in Thailand this year, so a great contest is again expected. Throughout its history the event has been a breeding ground for future champions and just since 2005 that list has included world No.1s Yani Tseng, Lydia Ko and So Yeon Ryu, along with a host of LPGA Tour tournament winners. Teams of three players contest 54 holes of stroke play, with the best two scores for each round counting as the team score with Australia coming out on top nine times since the event’s inception in 1979. The championship is as much about promoting friendship and sportsmanship among the competitors, with sightseeing tours scheduled during the event week. Glenelg Golf Club is no stranger to holding major events and has hosted the South Australian Open and PGA Championships, in addition to numerous state and national amateur events, including most recently the 2018 Australian Women’s Interstate Series. The 5973m par-73 layout has gently undulating couch grass fairways, bent grass greens and revetted-edge style bunkering. 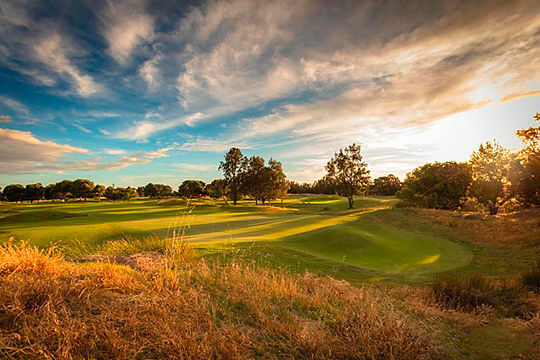 While some holes have characteristics reminiscent of traditional Scottish links courses, Pine Hill, one of the highest points on the Adelaide Plains, is the course’s dominant feature with holes 8-13 weaving through tall, established pine trees. Participating countries include Australia, China, Chinese Taipei, Hong Kong-China, India, Indonesia, Japan, Korea, Malaysia, New Zealand, Philippines, Singapore, Myanmar and Thailand.